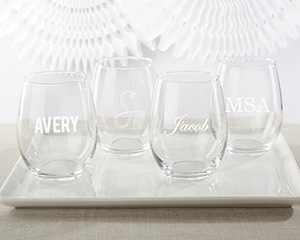 It's time for a special toast with these engraved stemless wine glasses for any occasion. A 15 oz. wine glass can be topped with a classy red or white to cheers with at your party. The sophisticated engraving makes Kate Aspen's Personalized Engraved 15 oz. 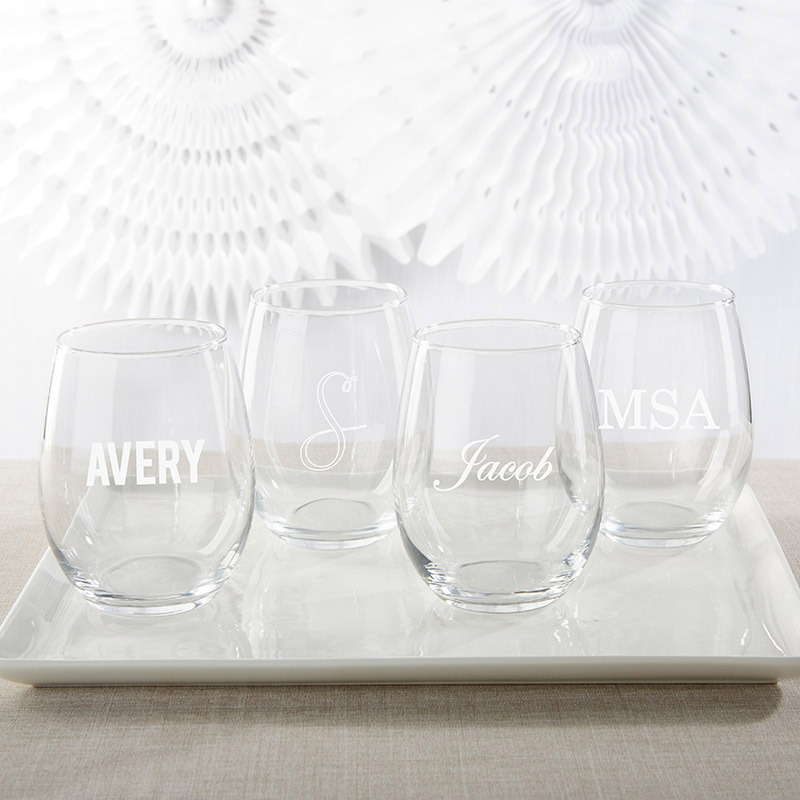 Stemless Wine Glass a treasured keepsake for your collection or a memorable party favor for your guests!